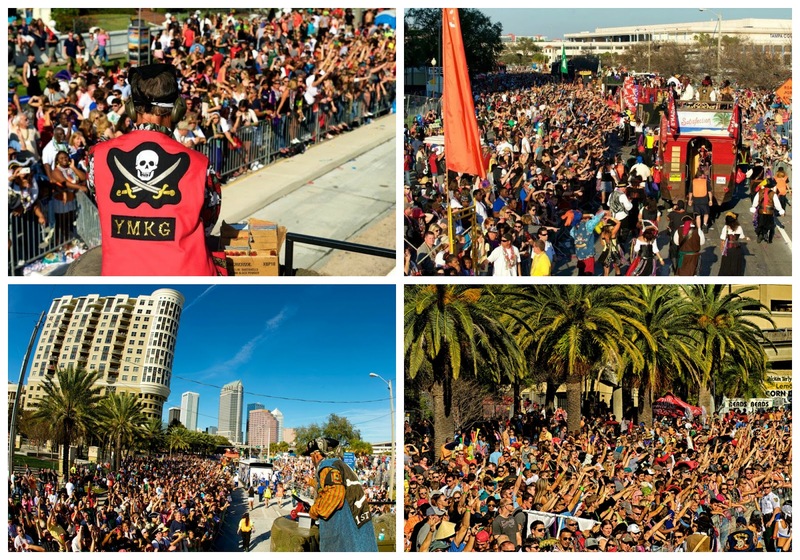 Gasparilla 2017 is officially here!! For those unfamiliar at to why Tampa is obsessed with pirates (hello our NFL team is based on Pirates! ), here's a quick history story. 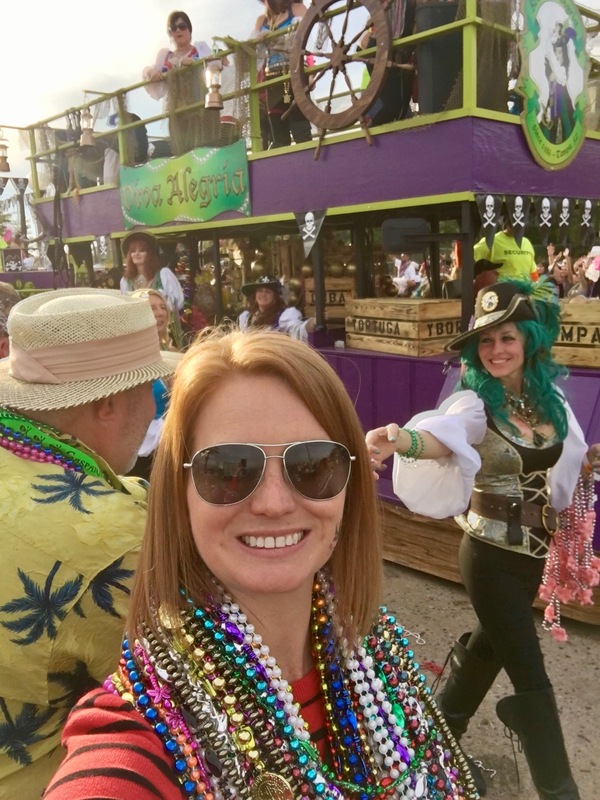 Gasparilla has many components to it, from a marathon weekend to a music festival. However when you say Gasparilla, the Invasion and Pirate Festival Day Parade (which started in 1904) is what comes mind. 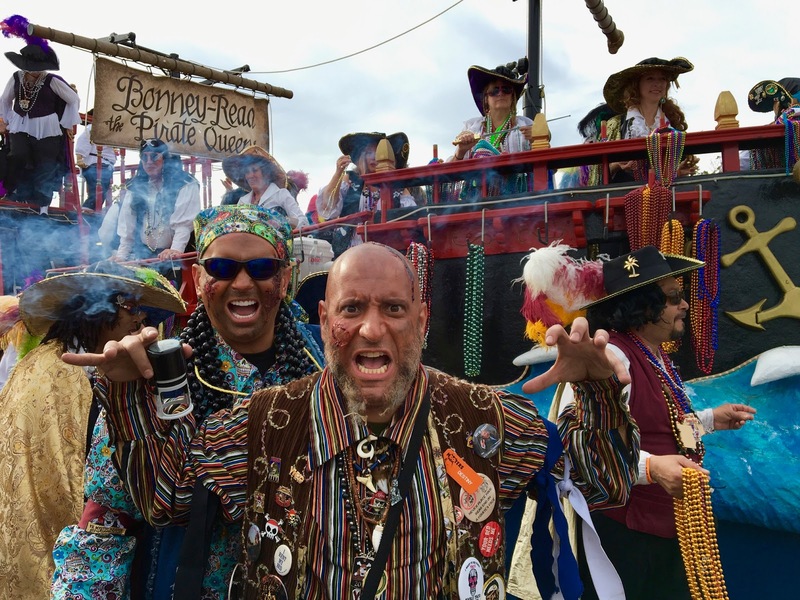 Gasparilla celebrates the apocryphal legend of José Gaspar (Gasparilla), a mythical Spanish pirate captain who supposedly operated in Southwest Florida. 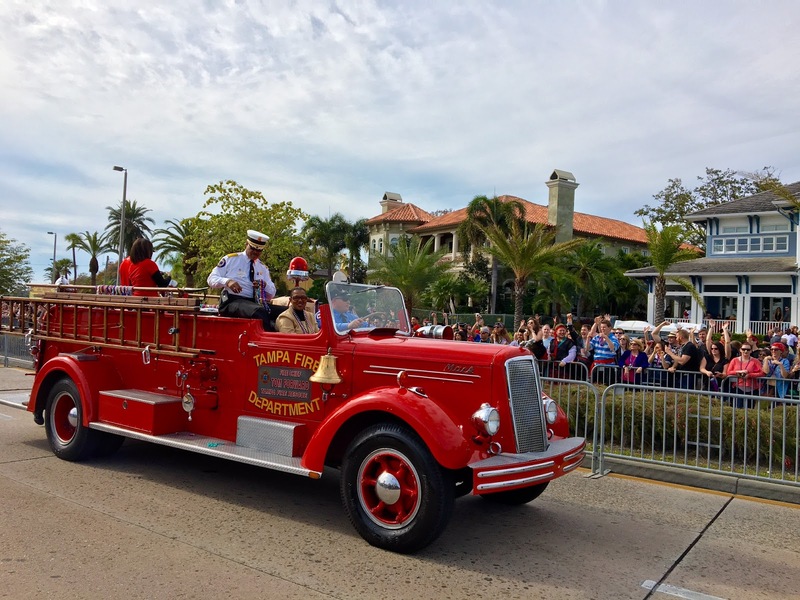 As of the 100th edition of the Gasparilla Festival in 2015 (it was cancelled during World Wars), the parade was the 3rd largest in the United States and had an economic impact of $23 million on Tampa's economy. My friends at Seminole Hard Rock Tampa are in the midst of a three year sponsorship as the title sponsor of the Pirate Festival. Last year, my husband and I got to experience Gasparilla in the sponsors tent and we had a blast. 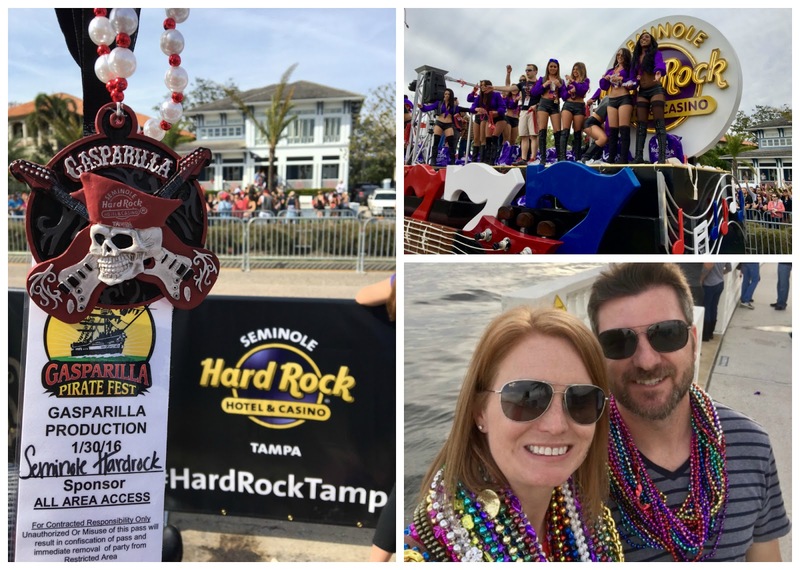 Before I share some of my favorite photos from the 2016 Gasparilla Day Parade, I wanted to take a second and recap the Seminole Hard Rock Tampa Gasparilla Charity Dinner which took place two months ago. 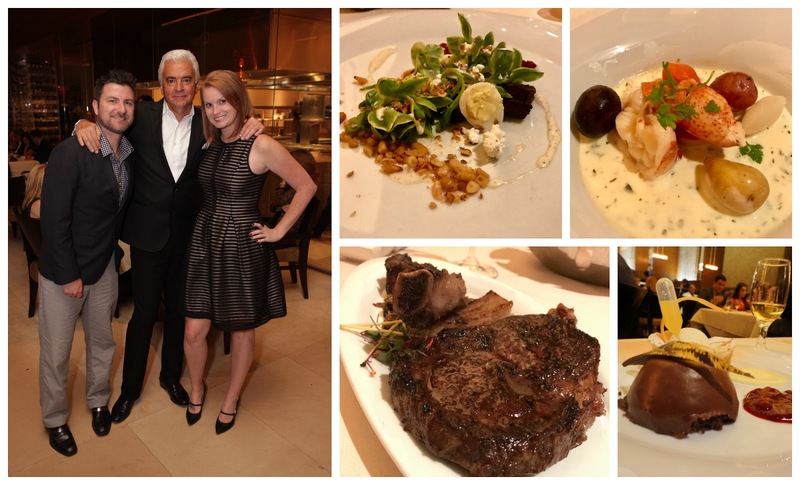 This amazing dinner was hosted by John O'Hurley (AKA J. Peterman from Seinfeld) and benefited the Ye Mystic Krewe of Gasparilla Community Fund. As to be expected, the dinner was amazing. A four course meal featuring a salad with spiced pork belly bacon; a sous vide traditional Lobster Boil; Bourbon Infused dry aged Bone-In-Ribeye; Manjari Chocolate Mousse Cake. It was an incredible dinner with amazing wine - while raising money for scholarships and student financial aid in Tampa. Plus we got a lot of laughs thanks to O'Hurley! There is nothing like being part of the Gasparilla day Parade. We take our Pirate Life serious around these parts of town. I have a few suggestions for those first timers out to this weekends festival. Arrive early and claim your seat. Bring blankets or chairs. Although I've seen them, coolers prohibited. You can bring your own food and drink, just no styrofoam or glass. Just be sure to hydrate with water throughout the day. If possible, don't drive. People drink their breakfast on Gasparilla and it isn't safe for anyone. Uber, Lyft and streetcar transportation is available. What should I wear? For the love of god, don't wear heals unless you are in a house, watching the parade from a balcony. It's easy to come up with a cute and comfortable Gasparilla outfit - black, white, red and strips - with a touch of crossbones! You will see local celebs - all of the sports teams have floats. HYDRATE (did I already say that?) and be sure to eat. There are multiple food stations located throughout the parade route. If you are controlling your diet, Bayshore Publix is located at the end of the parade route, which may be where you come in at. 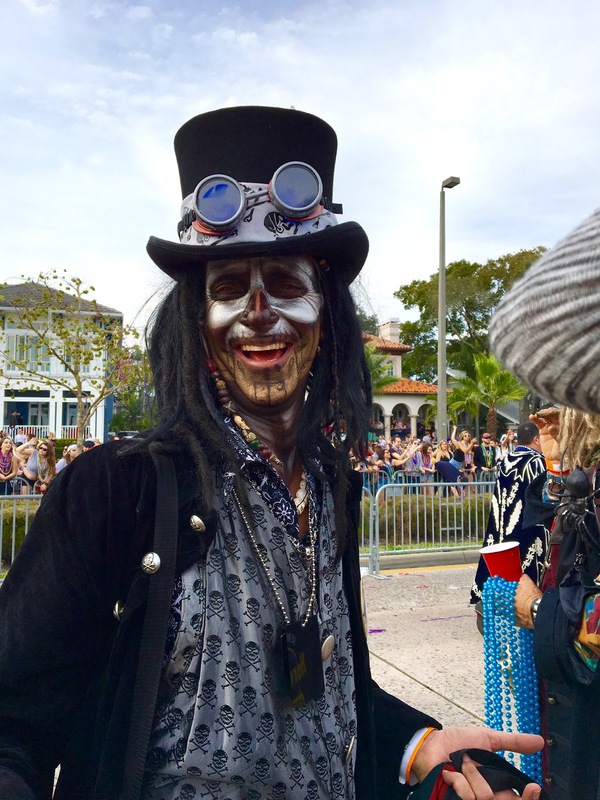 Expect the unexpected at Gasparilla Day Parade. These pirates have been at this for days (charity events, dinners, etc) and some are a bit crazier than others. SOUND! If you are sensitive to sound, bring earplugs. I know this makes me sound like an old lady but I swear to you after last years cannons (as seen in the photo below) were NO JOKE. My ears rang for days. Have FUN! Remember, all of this is about giving back to our community. Catch all the beads! Fun fact - we collected only the "good" beads from parades in 2011-2014. I packed an entire suitcase with these beads at our 2014 destination wedding in New Orleans to be part of our welcome bag. Thank you Gasparilla for helping us save $$$ by not having to buy pretty beads! 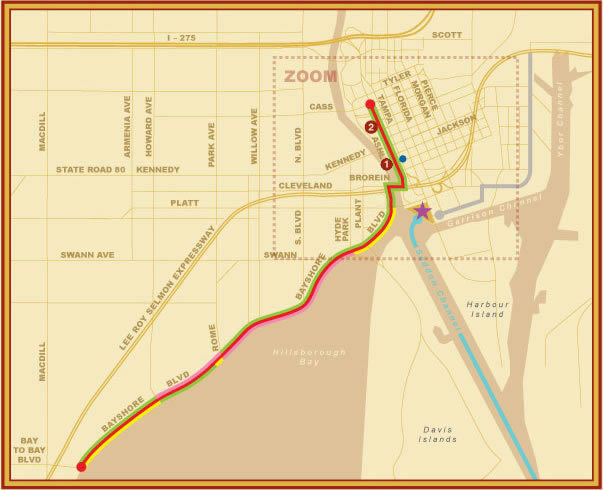 Viewing: There are many locations open to the public along Bayshore Boulevard and in downtown Tampa for viewing the parade. Looks so fun! You know I love parades being from NOLA!